Walter Bendix Schönflies Benjamin (/ˈbɛnjəmɪn/; German: [ˈvaltɐ ˈbɛnjamiːn]; 15 July 1892 – 26 September 1940) was a German Jewish philosopher, cultural critic and essayist. An eclectic thinker, combining elements of German idealism, Romanticism, Western Marxism, and Jewish mysticism, Benjamin made enduring and influential contributions to aesthetic theory, literary criticism, and historical materialism. He was associated with the Frankfurt School, and also maintained formative friendships with thinkers such as playwright Bertolt Brecht and Kabbalah scholar Gershom Scholem. He was also related by law to German political theorist and philosopher Hannah Arendt through her first marriage to Benjamin's cousin, Günther Anders. Among Benjamin's best known works are the essays "The Task of the Translator" (1923), "The Work of Art in the Age of Mechanical Reproduction" (1936), and "Theses on the Philosophy of History" (1940). His major work as a literary critic included essays on Baudelaire, Goethe, Kafka, Kraus, Leskov, Proust, Walser, and translation theory. He also made major translations into German of the Tableaux Parisiens section of Baudelaire's Les Fleurs du mal and parts of Proust's À la recherche du temps perdu. 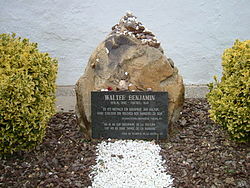 In 1940, at the age of 48, Benjamin committed suicide at Portbou on the French–Spanish border while attempting to escape from invading Nazi forces. Though popular acclaim eluded him during his life, the decades following his death won his work posthumous renown. Benjamin and his younger siblings, Georg (1895–1942) and Dora (1901–1946), were born to a wealthy business family of assimilated Ashkenazi Jews in the Berlin of the German Empire (1871–1918). The patriarch of Walter Benjamin's family, Emil Benjamin, was a banker in Paris who had relocated from France to Germany, where he worked as an antiques trader in Berlin; he later married Pauline Schönflies. He owned a number of investments in Berlin, including ice skating rinks. Benjamin's uncle William Stern (born Wilhelm Louis Stern; 1871-1938) was a prominent German child psychologist who developed the concept of the intelligence quotient (IQ), and Benjamin's cousin Günther Anders (born Günther Siegmund Stern; 1902-1992) was a German philosopher and anti-nuclear activist who studied under Edmund Husserl and Martin Heidegger. Through his mother, his great-uncle was the classical archaeologist Gustav Hirschfeld. In 1902, ten-year-old Walter was enrolled to the Kaiser Friedrich School in Charlottenburg; he completed his secondary school studies ten years later. Walter Benjamin was a boy of fragile health and so in 1905 the family sent him to Hermann-Lietz-Schule Haubinda, a boarding school in the Thuringian countryside, for two years; in 1907, having returned to Berlin, he resumed his schooling at the Kaiser Friedrich School. In 1923, when the Institut für Sozialforschung (Institute for Social Research) was founded, later to become home to the Frankfurt School, Benjamin published Charles Baudelaire, Tableaux Parisiens. At that time he became acquainted with Theodor Adorno and befriended Georg Lukács, whose The Theory of the Novel (1920) much influenced him. Meanwhile, the inflation in the Weimar Republic consequent to the First World War made it difficult for the father Emil Benjamin to continue supporting his son's family. At the end of 1923 his best friend Gershom Scholem immigrated to Palestine, a country under the British Mandate of Palestine; despite repeated invitations, he failed to persuade Benjamin (and family) to leave the Continent for the Middle East. A commemorative plaque is located by the residence where Benjamin lived in Berlin during the years 1930–1933: (Prinzregentenstraße 66, Berlin-Wilmersdorf). 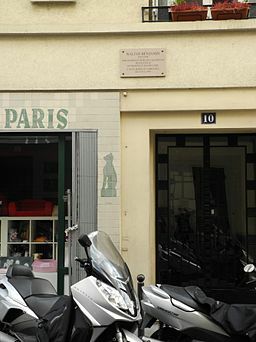 A commemorative plaque is located in Paris (10 rue Dombasle, 15th) where Benjamin lived in 1938–1940. 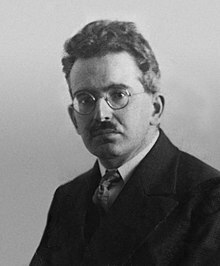 ^ Erasmus: Speculum Scientarium, 25, p. 162: "the different versions of Marxist hermeneutics by the examples of Walter Benjamin's Origins of the German Tragedy [sic], ... and also by Ernst Bloch's Hope the Principle [sic]." ^ Josephson-Storm, Jason (2017). The Myth of Disenchantment: Magic, Modernity, and the Birth of the Human Sciences. Chicago: University of Chicago Press. pp. 227–8. ISBN 0-226-40336-X. ^ Josephson-Storm, Jason (2017). The Myth of Disenchantment: Magic, Modernity, and the Birth of the Human Sciences. Chicago: University of Chicago Press. p. 230. ISBN 0-226-40336-X. ^ a b Jane O. Newman, Benjamin's Library: Modernity, Nation, and the Baroque, Cornell University Press, 2011, p. 28: "...university officials in Frankfurt recommended that Benjamin withdraw the work from consideration as his Habilitation." ^ Seits, Irina S. Invisible Avant-Garde and Absent Revolution: Walter Benjamin’s New Optics for Moscow Urban Space of the 1920s, in Actual Problems of Theory and History of Art: Collection of articles, vol. 8. St. Petersburg, St. Petersburg Univ. Press, 2018, pp. 575–582. ISSN 2312-2129. ^ Benjamin, Walter (1968). "The Work Of Art In The Age Of Mechanical Reproduction". Illuminations: Essays and Reflections. pp. 217–253. ^ Arendt, Hannah (1968). "Introduction". 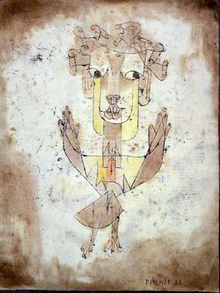 In Walter Benjamin (ed.). Illuminations: Essays and Reflections. pp. 23–24. ^ van Straten, Giorgio. "Lost in migration". aeon.co. Retrieved 4 April 2019. ^ Josephson-Storm, Jason (2017). The Myth of Disenchantment: Magic, Modernity, and the Birth of the Human Sciences. Chicago: University of Chicago Press. pp. 226–36. ISBN 0-226-40336-X. 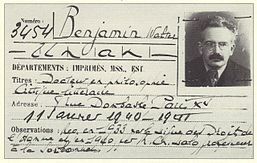 ^ "International Walter Benjamin Society". 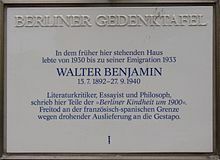 walterbenjamin.info. ^ "The Arcades: Contemporary Art and Walter Benjamin (March 17 - August 6, 2017)". The Jewish Museum. thejewishmuseum.org. Retrieved July 29, 2017. ^ Stadtplatz aus Stein: Eröffnung der Leibniz-Kolonnaden in Berlin. (in German). May 14, 2001. BauNetz. baunetz.de. Retrieved July 29, 2017. ^ "Walter Benjamin a Portbou". walterbenjaminportbou.cat.